I was lucky enough to get an interview with both Andrew Belle and artist Rick Fortson who just happen to be Father and Son. 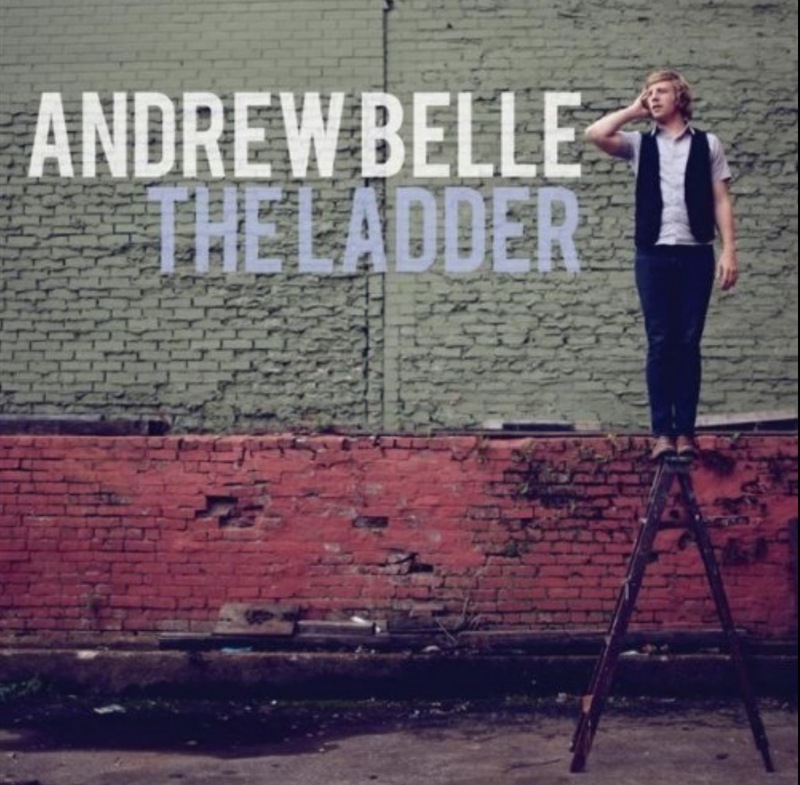 Andrew has enjoyed much success with his music and has had many of his songs featured in TV shows such as Grey’s Anatomy, Vampire Diaries and Castle. 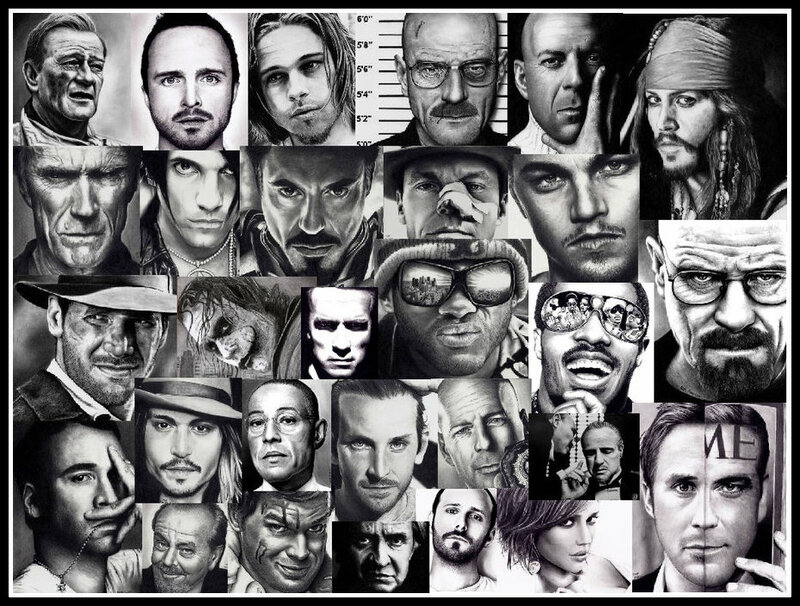 Rick “Dr Pencil” is an artist who stuns us with his life-like pencil drawings especially those of celebrities, he is probably most well-known for his portraits of the cast of Breaking Bad. PC: Can you tell me about your background in music and talk about your album’s? AB: Starting with my background in music I began playing in high school, like a lot of kids do, but it wasn’t until college that I began taking it more seriously and began song writing on my own and in my senior year of college I decided to make my first record and to see if that was something that could become a full-time career. I finished the record up shortly after graduation. I decided to try becoming a singer/songwriter rather than going into business like a lot of my friends. Shortly after that I began playing in bars and restaurants around town in Chicago, I played lots to get better, wrote lots of songs and met up with a producer who recorded a few of those with me. We made an EP record called All Those Pretty Lights together, and released it in 2008. After that I quickly got a little bit of TV and film licensing success with some of the tracks, so that gave me some traction. I went to Nashville, met some other people making music and I began making my first full length record as Andrew Belle with two guys named Thomas Doeve and Adam Agin, the three of us over a year or so made this record together, I got a manager and a booking agent and released that record and had some more television success with placements of those songs in different TV series. Through that I really started creating a fan base and selling a good amount of albums digitally online and touring nationally. I got involved with a group in Nashville called ten out of ten which is 10 singer/ song writers all doing the same thing, touring together putting on a big collaborative show, where we all play as each other’s band, everybody plays two songs when you have done your song, you rotate back to playing in the band. I did a few tours with that set up, there were a lot of great talent and names that gave me some more credibility to build on. In 2011 I moved back to Chicago and got married, in 2012 I wrote my next record Black Bear, recorded it, released it in 2013. I continued touring and got more TV licensing and that’s been the case for the last couple of years. So now I’m back following that process again writing my follow up, I’m working on that now and plan to be putting out some new music in the next few months, then a new album in 2017. PC: What is your song writing process like? 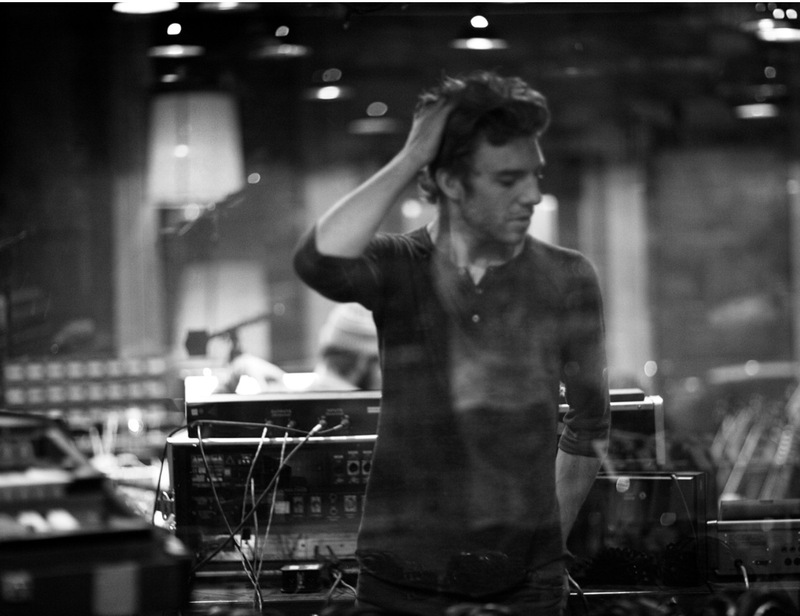 AB: My song writing process is undefined, it used to be with an acoustic guitar and then I began experimenting with a keyboard and then I got some computer software which allowed me to explore different sounds and open up my song writing, allowing me to get away from just playing guitar all the time. I usually start with some percussion or drum groove then put keyboard on top of that, tinkering around until I come up with something that feels like a good foundation for a song, experimenting with melodies and then lyrics. I carry on chipping away at it as if it were a sculpture, just refine, refine and refine it, until eventually it sounds like a finished product. I then take a step back and look at it, sometimes I know right away if it fits, maybe with something that’s happened in my life or something I’ve read or heard about or sometimes I will decide what the song is about after the fact. It’s very unpredictable and not nearly as defined as you might imagine it to be. PC: Is there anyone you would like to especially collaborate with in the future? AB: In terms of dream collaborations someone in the Hip Hop world would be really cool or alternative artists like a band called Washed Out, they are a band I like a lot and another artist James Blake I like, he would be cool to collaborate with. PC: Can you tell me more about the first album or single you bought and do you remember where you bought it from? AB: The first album I ever bought was probably in 1999 maybe 2000 I remember because that’s when I got my driver’s license, previous to that I wasn’t really allowed to listen to what I wanted to mainly because there’s a lot of garbage music out there, messages that my parents didn’t want me to be absorbing at such a young age. So it was when I got my first car, that first piece of freedom that I went to the mall and bought Recovering Satellites and August and Everything After by the Counting Crows, I wore those things out, I love those albums so much. I had loved them for a couple of years before that but I hadn’t had a chance to own them. So that was the first time I listened to the music I wanted to and that definitely inspired me and pushed me more into music by discovering bands like the Counting Crows, loving and being obsessed with the way they wrote songs and how Adam Duritz the lead singer approached his melodies and lyric writing. PC: Which song do you just have to play at full volume? PC: Which song or album soothes your troubled mind or heart? AB: The album that is most calming or soothing to me is probably Norah Jones “Come away with me”, her first big successful record that she released probably like 14 years ago. I usually pop it on whenever I’m in the kitchen by myself just in the mood to relax and cook, that’s my go to for that. AB: Three styles of music that I’m drawn to?, these influences or genres definitely find their way into my music today , Hip Hop just in terms of the percussion and the drum grooves, I’m really into that and inspired by that and electronic music, anything with synth keyboards I think is really neat and programming and other exploration in that world and then just alternative music in general, I’m really inspired by, anything that’s just a little bit different, a little bit out of the norm. PC: My guilty music pleasure would be a bit of 80′ Soft rock or 70’s Disco, what would yours be? AB: I have to say I’m a sucker for 90’s romantic comedy’s so I own The Father of The Bride soundtrack, a lot of times I will just pop that on and I don’t think there’s any original songs, maybe there’s a couple but for the most part it’s just sort of cinematic instrumental orchestra pieces that were written for the score, there’s something just really comforting about that, so yes, I would say Father of the Bride soundtrack is probably my guilty pleasure. PC: Which Movie soundtrack do you never get tired of listening to? AB: A few years ago I bought the soundtrack for the movie Something’s Gotta Give with Jack Nicholson and Diane Keating, sounds kind of funny, but there’s just a lot of like smooth jazz and instrumentals and old songs, that along with the Norah Jones record, we put on all the time when we have guests over for dinner parties and stuff like that. PC: What was the last concert you attended and which concert was the best you have ever been to? AB: Last show I went to was maybe Brandy Carlile here in Chicago a couple of months ago. The best I’ve seen, it’s all sort of relative, the biggest bands in the world obviously have the biggest budgets so they are able to put on spectacular productions so for that reason Coldplay’s Viva la Vida tour that I saw in 2009 at Alpine Valley in July of that year. It was outdoors, maybe the best show I’ve ever seen as a whole, with the production value and everything and I love Coldplay, I have really loved them forever but relative to its size I saw Sufjan Stevens here in Chicago last year at the Chicago theatre, a much smaller show, maybe a tenth of the size but it was just such an inspiring show, the visual elements they incorporated into the show along with the music and the way they interpreted the album for the live show, I found it to be one of the best shows of its size I’ve ever seen. AB: I don’t have any band t-shirts actually ironically, I have a few of my own I wear as pyjamas or something but I have a lot of restaurant t-shirts. When I’m on tour I travel a lot, I will buy t-shirts from restaurants that I like a lot so the one I wear the most is from a pizza place in Portland, Oregon called Dove Vivi it’s black and got this vintage feel to it, I love that. PC: Which song or piece of music would you like played at your funeral? AB: I could choose a million songs but the first thing I thought of was a song called “Let Down” by Radiohead. PC: Do you have a signature dance move? AB: I’m not a good dancer I usually only dance once a year at a wedding or something and I’ve been nicknamed The professor, when I dance because I kind of just stand there in my suit and just kind of awkwardly you know rock back and fort, I kind of wave my hand around so somebody nicknamed me The professor, so that would be my signature dance move. AB: My Perfect day would be travelling somewhere with my wife, up early coffee, breakfast exploring around, lunch, maybe a nap, more exploration, dinner somewhere and then bed early that’s kind of like my perfect day it’s not too exciting but that’s what we love to do, travel and explore and eat. PC: Finish this sentence I cannot possibly live without…..
AB: There’s a lot of things that are meaningful to me in that way but for fun, I love Asian food in general so I don’t think I could live without Asian food more specifically I would say like Korean ramen or Vietnamese fah, those two noodle soup dishes, I think would be pretty hard to live without. PC: Can you tell me about your background in drawing? RF: I’ve been in Real Estate Sales and Appraising for over 30 years. In October of 2008, I started drawing again, after a 30 YEAR time out! I never drew portraits before, but I oil painted, drew landscapes and various objects as a teenager. I could never get past deciding WHAT I wanted to draw, so I rarely did. Through a series of motivating factors, I decided to buy some drawing pencils. I started with my kids, and then celebrities. I believe we make “Progress through Practice”. Now that I draw people, it’s no longer deciding WHAT I want to draw, but WHO to draw. This way, I never get stuck deciding WHAT to draw! I’m 100% self-taught. All of my life, I just seemed to realize that I could draw if I wanted to. I know that might sound weird. PC: Describe your subject choice and drawing process? RF: When I started drawing, I drew my all-time favorite celebrities first. These days, I find inspiration from current TV shows and movies. I also inspire myself by viewing brilliant and dynamic black and white photography, which I find on Google images. As for the process, I crop my reference photo to create a custom design layout, and I print the photo as large as I will draw it. I’ve trained my eye to draw what I see on a 1 to 1 ratio scale. PC: Can you tell me about your connection with Breaking Bad? RF: COUNTLESS people have asked me about this over the years, so this will be my longest answer. I started watching Breaking Bad by accident, on the same weekend Season 3 was starting. They ran a marathon for seasons 1 & 2, which I watched that weekend. I was instantly hooked, and was initially inspired to draw the main characters, Aaron Paul and Bryan Cranston. If I remember correctly, Giancarlo Esposito was the first cast member to follow me on Twitter, and I sent him the original drawing. About 6 months later, right at the end of season 3, my family and I ran into Aaron Paul at a private concert my son was doing at the Chicago Rock Cafe. I remember it was the same week as Lollapalooza. He was very approachable, super down to earth, and we got a great photo with him! About the same time, Vince Gilligan’s assistant (Jennifer Carroll) sent me a random email saying how they had discovered my drawings online, and wanted to send me some Breaking Bad SWAG as a thank you gift! Jenn was also responsible for getting a photo of Vince Gilligan with my drawing. I was able to send several drawings to them at their HQ in Albuquerque, New Mexico. In the meantime, Aaron Paul’s sister was able to get Aaron to view my drawing I posted on Twitter. I offered to send him a custom drawing in exchange for him following me on twitter, and he accepted. Note: this was when he had 50,000 followers compared to the 2.5 million he has today. I mailed that piece, and ultimately several other drawings to him via his sister (Danielle Hart @daniellehart8). She’s also the one who took photos of Aaron with my artwork. Aaron’s folks also own 2 of my drawings. As a result of Aaron, and my drawings I posted, I was able to gain the attention of nearly all the Breaking Bad cast members, all of which were willing to trade my original drawings for Twitter follow-backs. I would send them their drawings, and they typically post selfies with my artwork on Twitter. 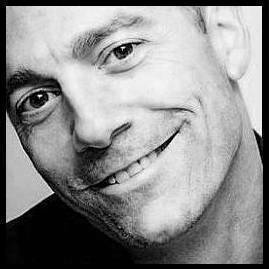 Over time, I made the same offer to actors on several other shows like The Blacklist, Sons of Anarchy, Person of Interest and The Strain. 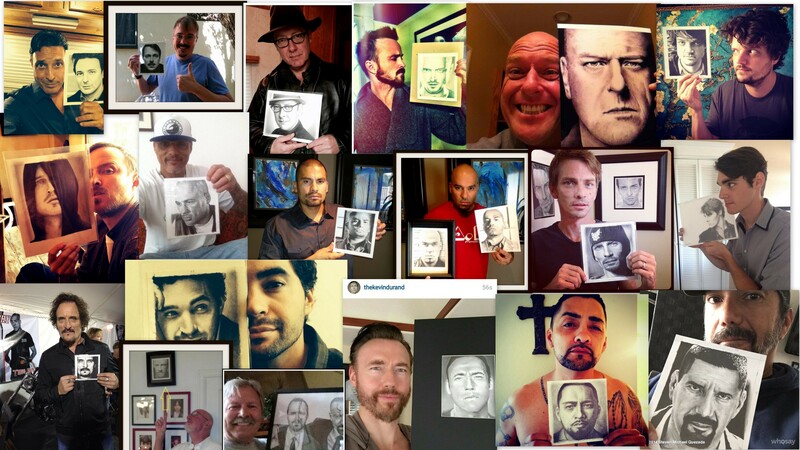 It means the WORLD to me that these actor-artists were willing to endorse my artwork! It was @CharlesEbaker (Skinny Pete on Breaking Bad) who later appeared in a few episodes of The Blacklist, and was kind enough to deliver my drawing to James Spader, and get a photo of him holding it! PC: Can you tell me more about the first album or single you bought, and do you remember where you bought it? My parents gave me the Beatles Sgt. Peppers album when I was 7 years old. I don’t know whatever happened to it, but I’m sure it formed an early interest in music. Not to mention, my mother was a music-major in college, and was a music teacher, before she got into real estate. RF: I play nearly every song at full volume, which is a habit I developed as a teenager in the 70s. 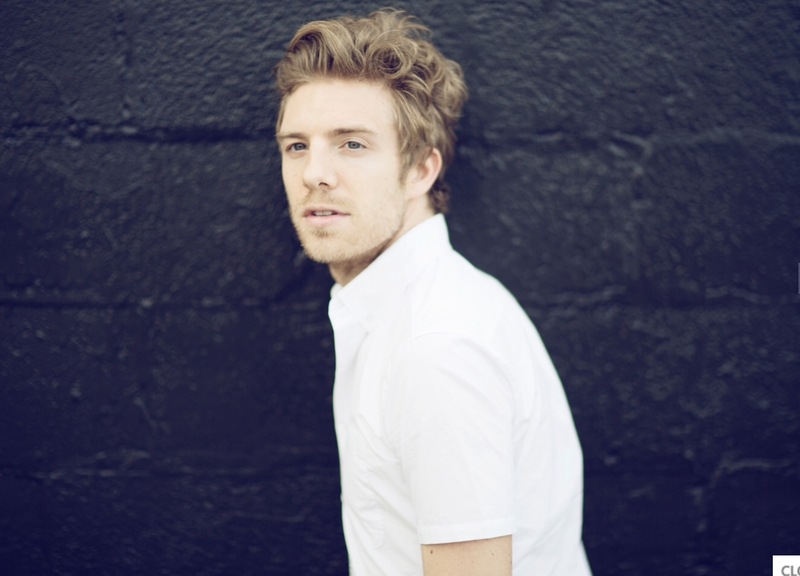 RF: Actually and ironically, our son Andrew Belle’s (stage name) music is very relaxing, and is perfect when it comes to relaxing, or having some music to draw by. I’ve noticed that most of his fans feel the same way, as his music seems to be therapeutic in many ways. Search him on Google, YouTube or Spotify. You’ll thank me later! RF: I love nearly all genres of music, and don’t really have a preference, but to name a few, I still love 80s hard rock, pop music from every decade, and even some old heavy metal. PC: My guilty music pleasure would be a bit of 80’Soft rock or 70’s Disco, what would yours be? RF: Guilty pleasure? I would say The Carpenters, Neil Diamond, or some 70s soft rock, ha! RF: I honestly can’t think of any movie soundtracks that I listen to. PC: What was the last concert you attended, and which concert was the best you have ever been to? RF: That’s easy, our son Andrew Belle for both answers. He’s had over 20 of his songs featured on major TV shows, such as Grey’s Anatomy, Pretty Little Liars, Vampire Diaries, Castle and many others. People always ask me, “You must be proud”? I tell them, “We’ve always been proud of him, however, it has gone up a few hundred levels”. PC: What would be your most frequently worn band t-shirt, and is it an original? RF: Well, since I’m 53, I don’t wear too many concert shirts, but I do wear some of our son’s concert apparel. PC: Which song, or piece of music, would you like played at your funeral? RF: You mean like Elaine Bennis on Seinfeld? No, none that I’m aware of. RF: PENCILS… and faith in our Creator! I always enjoy these interviews so much! Thank you! Thank you Nancy, many more to come.